MARQUETTE — West Iron County and Marquette each split singles and doubles girls tennis matches Tuesday for a 4-4 draw. Six matches went three sets including No. 2 singles where WIC’s Colbi Laturi downed Mollie Kilpela 2-6, 6-4, 6-4. “Colbi did an outstanding job coming back after a first set loss to win her next two,” Serbentas said. Eden Golliher-Tori Bociek and Anna Malmquist-Emily Nelson, WIC’s Nos. 1 and 2 doubles, also posted wins. Three singles Izzy Hoogenboom was the other Wykon winner. Marquette No. 1 singles Elysa Olivier outlasted Katarina Serbentas 3-6, 6-2, 6-3. The Wykons (4-1-1) visit Escanaba today. 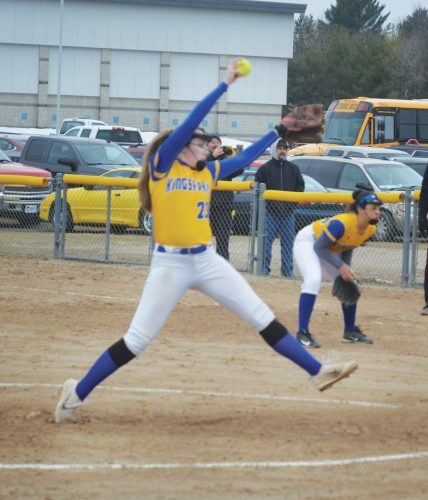 ESCANABA — Kingsford chalked up three doubles wins and downed Escanaba 5-3 in high school girls tennis Tuesday. The Flivvers and Eskymos met in every flight in last week’s Kingsford Invite, with multiple flights going three sets. “I was excited to see how today played out,” said Kingsford Coach Sarah Massie. 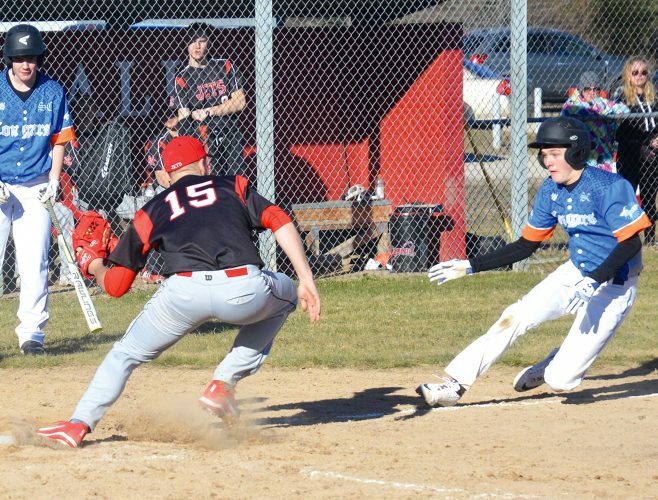 Marquette defeated Kingsford 7-1 on Monday. Flivver No. 2 doubles Annie McCole-Teagan Petschar downed the Redettes’ Carly Sandstrom-Natalia Robinia 7-5, 3-6, 6-2. McCole-Petschar also won against Escanaba. The Flivvers (3-3) compete Thursday in the Westwood Invite. IRON MOUNTAIN — Iron Mountain shut out Gwinn 8-0 in high school girls tennis Tuesday at Amos Marston Eastside Courts. The Mountaineers won six matches in two sets. Jorden Stoner and Macy McCormick, IM’s top two singles, recorded wins. Megan Garvaglia-Bella Brown and Megan Murray-Anna Pirkola, posted their first doubles wins at Nos. 2 and 3. “I was happy to see Stoner and McCormick really working on hitting away from their opponent rather then right to them,” Tatangelo said. The Mountaineers (3-3) host Ishpeming on Thursday. “We have a few things to work on in practice,” Tatangelo said.